What if I told you that there was a supercar from the 1980s that cost less than the Lamborghini Countach and the Ferrari Testarossa and could outrun them both on a race track? And what if I told you that this car could also yield 30 miles per gallon? You would probably think I was crazy. Well, such a car does exist and in theory, it sounds fantastic. 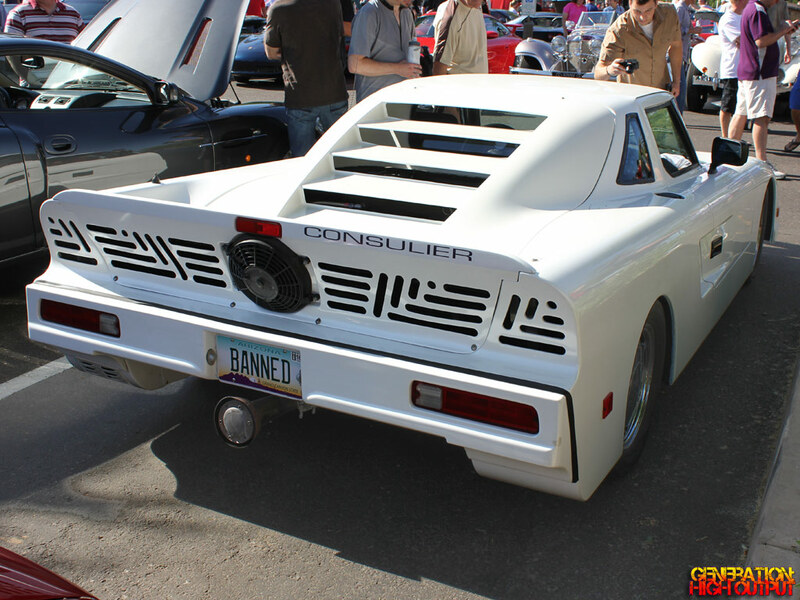 However, there is just one drawback to the Mosler Consulier GTP…the way it looks. You may remember Mosler Engineering from my recent post about the Raptor GTR from Barrett-Jackson 2014. What you see here is Mosler’s first crack at building a road-legal car. On paper, it has all the makings of a supercar: limited production, extreme performance, and a composite body made of Carbon Fiber and Kevlar (the Consulier was actually the world’s first production car to be built primarily of carbon-kevlar, pre-dating even the McLaren F1). But if you look beyond the jokes regarding the Consulier’s kit-car appearance, you will find a surprisingly capable and potent vehicle that could outperform any other car on the track. The mid-engine car is powered by a Chrysler 2.2L Turbo 4-cylinder engine producing 176 horsepower, coupled to a Getrag A555 5-speed gearbox. That doesn’t sound like a lot of power for a supercar, but because the Consulier GTP tips the scale at a feather-weight 1,950 lbs, it can leap from 0 to 60 in 4.5 seconds and can sprint the quarter mile in 13.8 seconds. It is seriously fast – especially for a car that cost just $68,000 when new. Warren Mosler was so confident in his creation that he threw down a challenge: anyone who could beat his car around a track in another production car would win a $25,000 prize. As it turns out, Car and Driver magazine took him on, putting the Consulier GTP up against a bone-stock, base model 1991 Corvette. They published a complete report in the October 1991 issue. 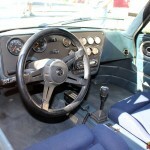 According to Car and Driver, their two editors took the Consulier GTP and the Corvette around the 1.6 mile track at the Chrysler Proving Grounds in Chelsea, Michigan. Both drivers drove both cars for 3 laps of the track, for a total of 12 laps. 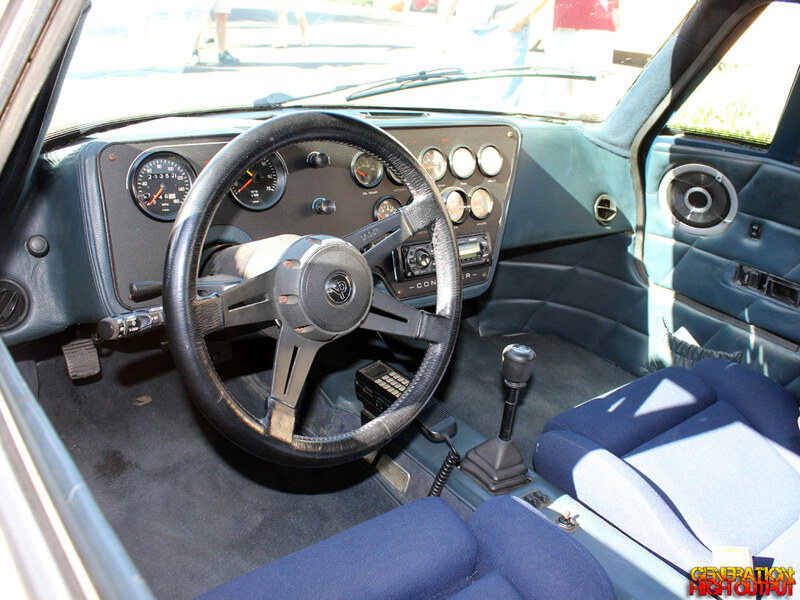 The best time for the Corvette was 1:21.01 and the best time for the Consulier was 1:22.56. But according to Warren Mosler, that’s not exactly how it went down. 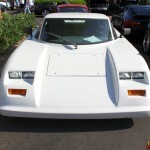 In a comment posted to the automotive blog Fiberclassics, Mosler explains his side of the story. The guys from Car and Driver had borrowed a 1988 Consulier from a driving school, which had been driven hard. Its brakes were worn and its tires were bald. Had it been in proper working order, Mosler has said it would have bested the Corvette. Mosler revised the terms of his challenge, saying that to win the $25,000, he would pick the driver and the course. 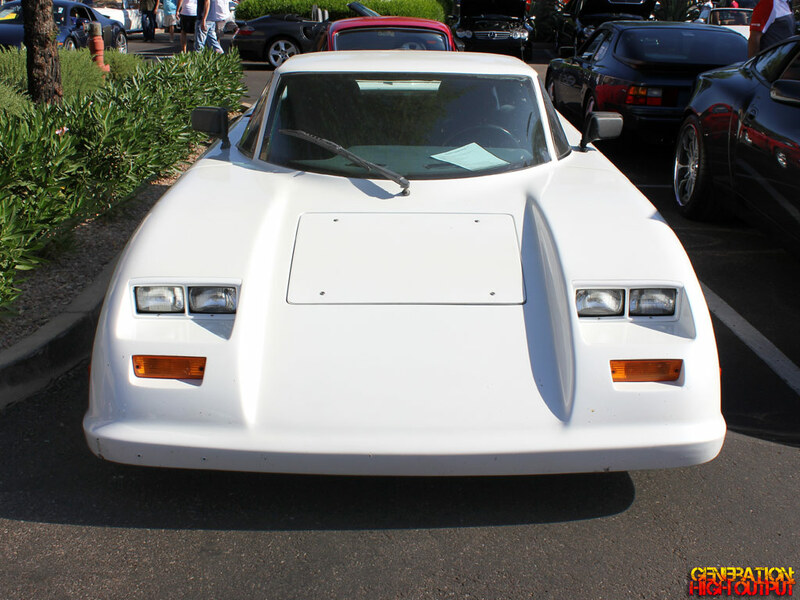 While the results of the production car comparison were certainly debatable, there is no denying that the Consulier GTP dominated on the race track. The car won a number of local SCCA races before moving up to the IMSA series. It won the 24 Hours of Nelson Ledges in 1990 and it won again at Lime Rock in 1991. It also won Car and Driver’s One Lap of America three years in a row. Finally, the IMSA hit the car with a 300 pound weight penalty before banning it from the series entirely. The license plate “BANNED” could not be more appropriate for this car. Only 100 Consuliers were ever built, and unfortunately they haven’t held their value very well. 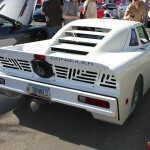 In 2013, a 1990 Consulier GTP-LX with 11k original miles sold on eBay for $20,210. Mosler went on to produce the much better looking and insanely more powerful Raptor GTR, before hanging it up and selling his business in 2013. 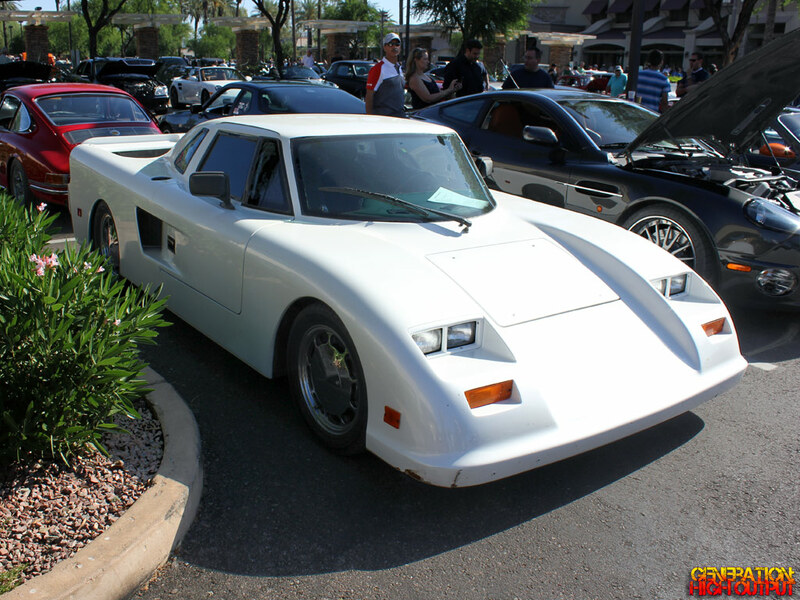 This entry was posted in Cars and Coffee and tagged 1980's, car and driver, cars and coffee, consulier gtp, exotic car, rare, track car, turbocharged, warren mosler by Trevor Freeman. Bookmark the permalink.